The Hartford man charged with murder in the city's fourth homicide of 2015 told police he had been smoking PCP with the 30-year-old victim before shooting her in the head, and admitted to putting the gun in her hand to make it look like a suicide, according to the warrant for his arrest. Anthony Pernell, 38, was arrested following the St. Patrick's Day shooting. He's accused of shooting Wetherfield resident Lilliana Restrepo at close range in his apartment on Congress Street in Hartford. Pernell told police he had been smoking PCP with Restrepo, who was depressed because the Department of Children and Families had taken away her child, according to the warrant. He initially claimed Restrepo shot herself in the head, but his younger brother told a different tale. Christopher Grant, 25, who shares the apartment with Pernell, said he awoke that night to a loud bang coming from the adjacent bedroom. His brother ran into Grant's room in a panic and said, "I f*** up" and "I shot her, I shot her," Grant allegedly told police. Grant told police he watched as Pernell putt he gun in Restrepo's hand and refused when his older brother asked him to get rid of the revolver, according to the arrest warrant. Grant called his mother, who contacted police in Shelton, and his uncle, who called Hartford dispatchers. After police challenged Pernell's story, he admitted to shooting Restrepo and putting the gun in her hand, according to the warrant for his arrest. He told police it was an accident. Pernell later tried to change his story a second time, saying he had gone outside to do a drug deal and returned to find Restrepo shot and bleeding, police said. Authorities responding to the crime scene found suspected drug money and narcotics, including crack cocaine and PCP, on Pernell's person, according to the warrant for his arrest. 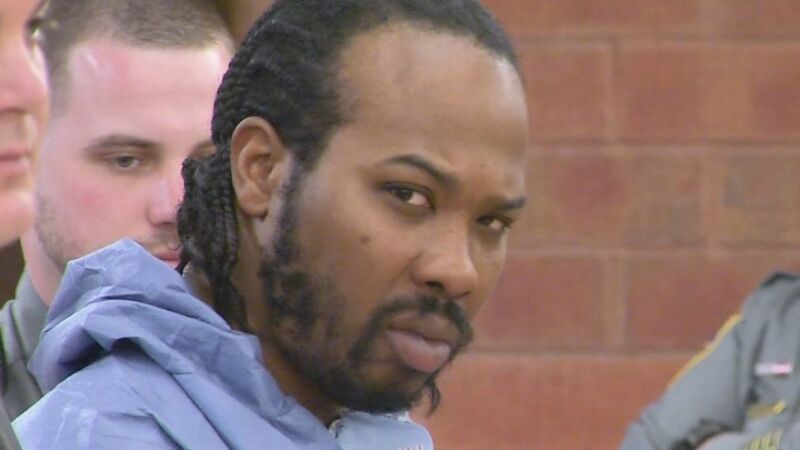 Pernell was charged with murder, possession of narcotics, possession with intent to sell, possession of a hallucinogen, criminal possession of a firearm and possession of an assault weapon. He was arraigned in court Wednesday and is being held on $2 million bond until his next court appearance April 8.